I love crafting. I grew up doing it just about every weekend and we even have a stocked craft room in my parent’s home. I also really love Christmas decor more than any other holiday – not surprisingly. 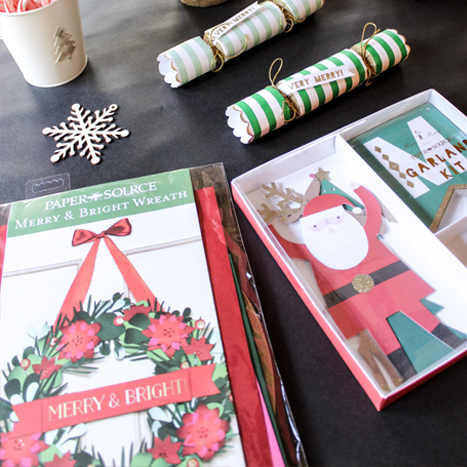 So when I discovered the Paper Source holiday kits, I just knew I had to indulge. If you’re crafty enough to host a cookie decorating party, you should probably create your own decor. Like I did here! 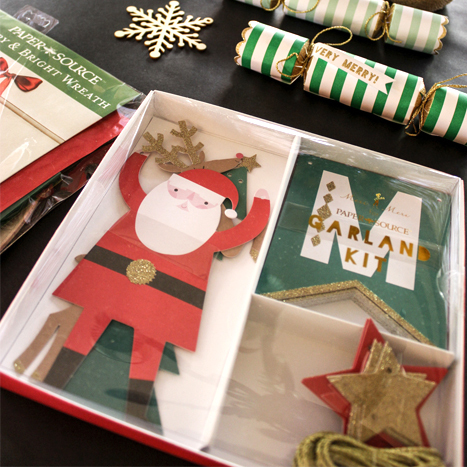 Every single piece of this festive garland is included in the kit. So no, you don’t need anything extra like scissors or glitter glue or string to put it together. The only thing you would need is some way to hang the garland, like thumbtacks or tape. Every piece is pre-cut and glitter-fied so all you need to do is thread them along the string. You can even shake things up if you’re a true rule breaker and choose where to place the Santa, reindeer and trees. 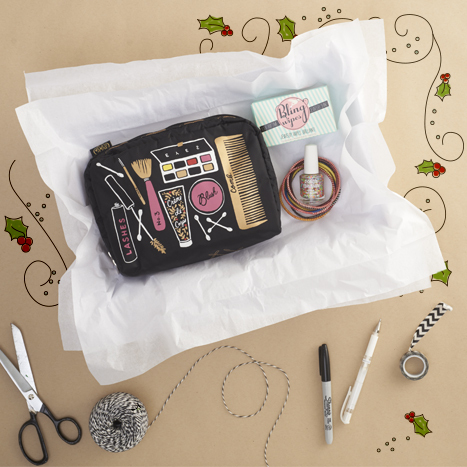 Paper Source offers all different types of cute kits for all kinds of occasions from holiday to birthday to baby shower! You can find them in all Paper Source stores or online. For more holiday decorating tips, gift guides and general fabulosity, visit Rachel at www.justpeachyblog.org, and don’t forget to share your pics with us at #YestoPS! This special season means arms full of presents, hearts full of cheer and homes full of family! Look forward to a festive feast with friends and family, whether you have a fully-packed kids table or an elegant and refined theme. 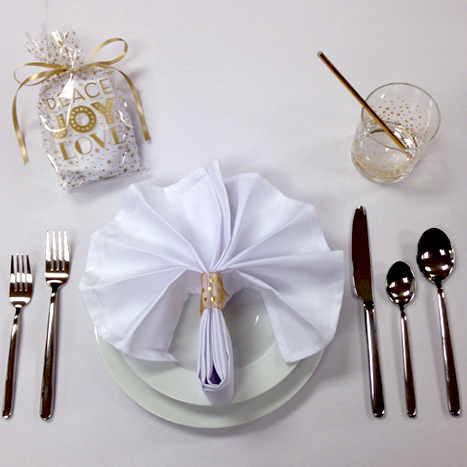 Your guests will certainly take a shine to your holiday table when you add elegant gold accents. When giving gifts, it’s the thought that counts, and we think there are no better thoughts than “Peace, Joy, Love.” These cellophane bags are perfect for wrapping ornaments or sweet treats for your guests. Before you wrap up your party, share a toast or two with family and friends. Getting into the holiday spirit is even easier when your holiday spirits are in a gold confetti tumbler! …courtesy of our stellar Creative Intern, Caroline! Cute, customizable Christmas fun- what a tree-t! I made several of these fringy fellows and used them to decorate for a holiday tea party I held this past weekend. Cut a circle out of card stock. The bigger it is, the taller your tree will be. 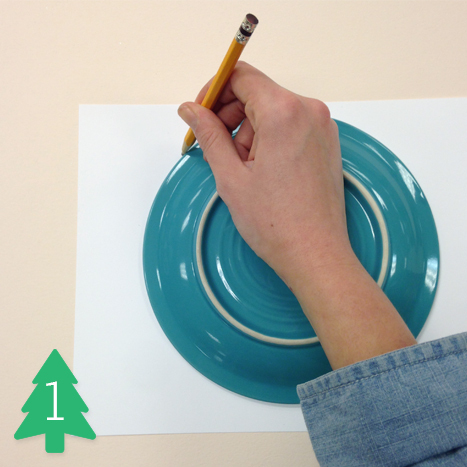 To cut a perfect circle, set a plate on your card stock and trace the outline in pencil. 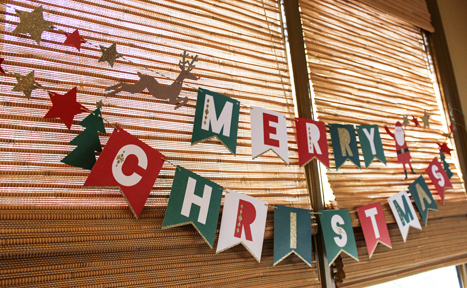 Tips for setting a crafty kids’ Christmas table – Free download included! Who says grown ups get to have all the fun? This year, the kids’ table is the place to be! Aunts and uncles will be trading their seats for a spot at this fun-filled table this holiday. 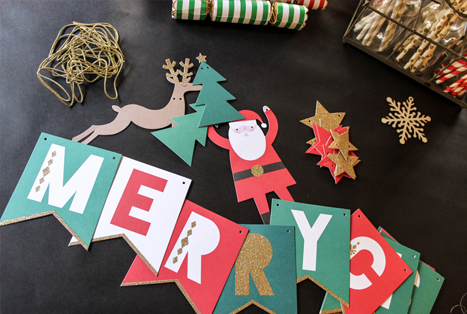 With a Letter to Santa download, festive photo props and unlimited possibilities of what to create, you’re sure to craft a Christmas to remember! 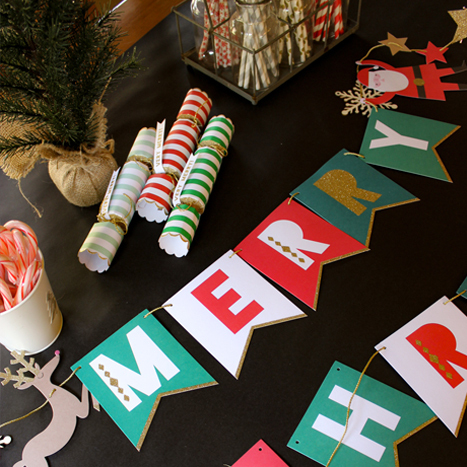 The keys to a creative Christmas kids’ table are color, crafts and easy clean-up. Set the scene for a stress-free dinner party by offering projects at your Christmas table that will help kids stay seated and occupied before, during and after the meal.